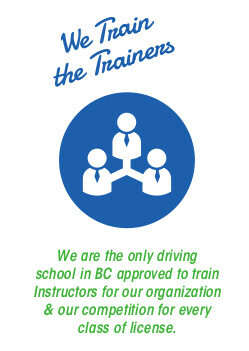 Valley Driving School is one of the largest and most respected driving schools in British Columbia, and the only driving school in the province approved by ICBC to train Instructors of all classes of licence. We not only train Instructors for our company but for our competitors as well. 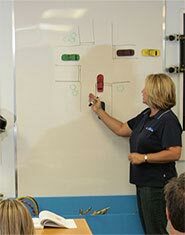 Our comprehensive Truck Instructor Training Course blends a unique union of practical on-road driving experience with valuable in-class theory instruction. Our Instructor Training Course covers a variety of truck training skills and maneuvers to ensure our trainees acquire the expertise to elevate students beyond industry standards. 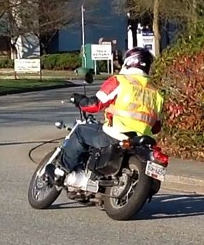 Effective driver trainers of all licence types need to be more than just good drivers. Truck Instructors need to take their effectiveness to the next level, given the size, presence, and responsibility that truckers and their vehicles command on the road. Our Truck Instructor Training Course develops the next generation of drivers and the Instructors who train them. In order to qualify for the Valley Driving School Car Instructor Training Program, a candidate must possess a valid class 1 licence for a minimum of three years, with a safe driving record. Candidates must also submit a medical exam and criminal record check. They must also be free from any outstanding debts with ICBC, such as tickets, bridge tolls, etc. Candidates can begin their application process by contacting ICBC to determine whether they are a suitable candidate. ICBC will then provide candidates with written approval to attend a Truck Instructor Training Program.